You can find a fantastic Lake Louise ski resort in Banff National Park in Alberta, Canada. This is one the THE ski destinations in Canada and a very well-known area for its beauty and great views. 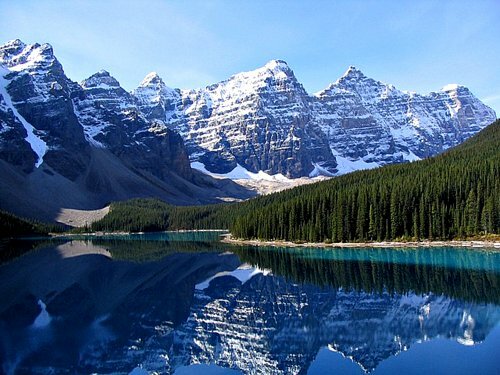 We cover the best Banff and Lake Louise resorts here. This is one of the most famous, and largest ski areas on the continent. The more than 4200 skiable areas are incredibly scenic and diverse and is served by nine lifts. Enjoy 3250 ft verticals and a base elevation at over 5400 ft. Some runs run as long as eight km! Because of the way the lifts are organised, families and groups can share a lift up together regardless of their ability level. There are separate ability runs down from each chair. For the experts there are almost endless opportunities for adventure. Apart from being spectacular winter wonderland Lake Louise is one of the most entertaining places to visit in Canada. In fact the whole Banff National Park area is crowded with family friendly activities. Let the Terrain Park supervisor, fill you in on all the opportunities available. 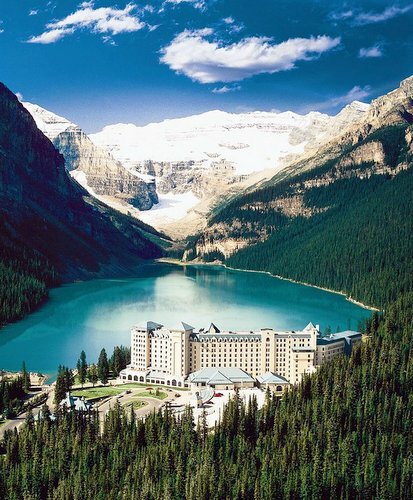 The Fairmont Chateau in Alberta is the postcard resort from the area and has 548 rooms. It is about six km to Lake Louse mountain resort and about the same to the Gondola. The facilities, restaurants and bars are really what you would expect of the top five star resorts anywhere (even though this is a four star resort). This includes the full service spa and kids club. Apart from winter activities the resort also has a full summer activity guide which really does make it an all season resort. The resort facilities provide a lot of incentives for the avid ski fan. The Rentals & Repair Shop have all the stuff you need as well as technicians, to keep it running well. At the Snow School private and group lessons for skiers and snowboarders of all ages. The Post Hotel & Spa has the area all packaged up for you. 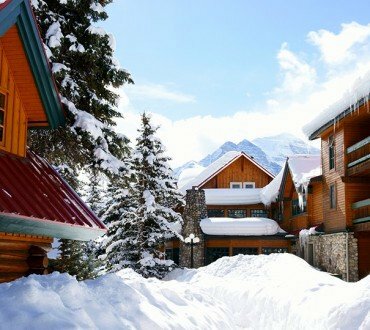 There are some pretty cool Lake Louise ski packages in partnership with the ski resort. There are also packages for romance, spa packages, and foodie packages. Why kids love Lake Louise. Ski Here! Hard to miss when you choose a Lake Louise ski resort. The Mountaineer Lodge, is another great resort in the village of Lake Louise. Big rooms with mini kitchen facilities and free shuttle to the ski area. 78 rooms offer access to ski storage, steam rooms and a wonderful location. Lake Louise, and Banff National Park are great places to explore nature trails all year round. 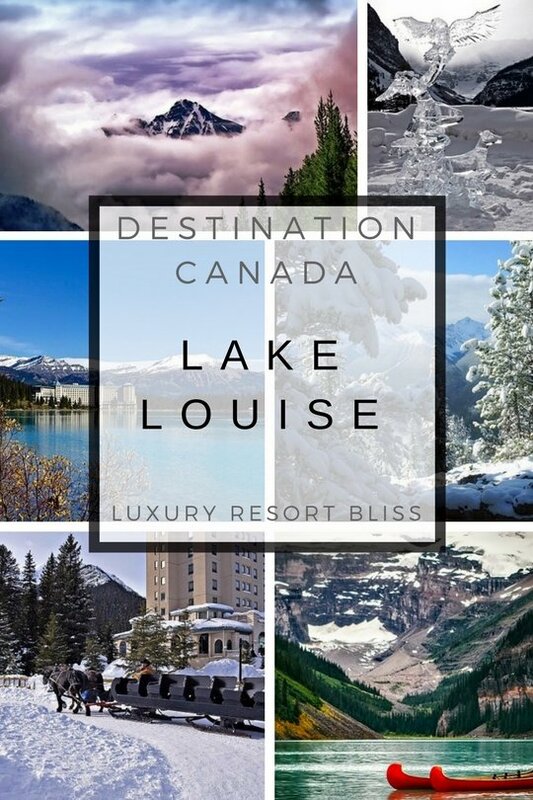 Choose a Lake Louise ski resort to come back to in the summer! A tour of tree resorts. Mt. Norquay, The Lake Louise Ski Area and Sunshine Village. 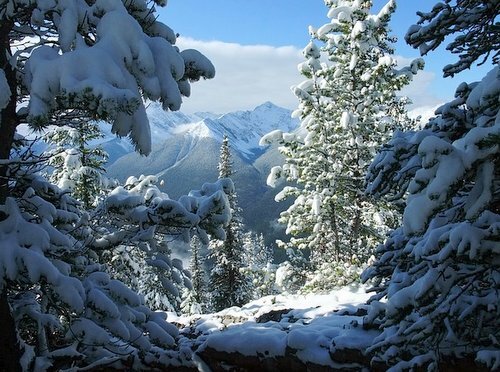 Just 10 minutes from downtown Banff, this ski resort area is in a fantastic location. It's the smallest of the 3 ski areas in Banff National Park and mostly suited for intermediate skiers. This is a great spot that is away from the crowds and close to the lodge. 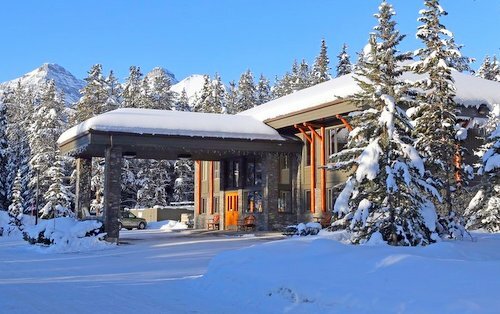 In Banff, we recommend Banff Caribou Lodge And Spa. It gets fantastic reviews - not just compared to others in the area but others in the world as well. 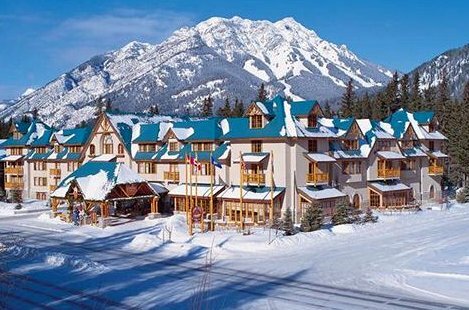 This resort is very close to Banff and here you can actually ski in both Alberta and British Columbia in one run! It is actually Canada's highest elevated resort and has fantastic snow conditions. The skiing has some mixed reviews and they seem to depend on the skiers level. We recommend taking a look at the reviews to see what others of your level had to say. In general, intermediate skiers rate it well. You can ski-in / ski-out of Sunshine Mountain Lodge.